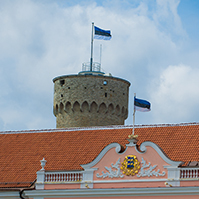 On Thursday, the Riigikogu discussed the proposal of the Chancellor of Justice to eliminate a conflict with the Constitution in the Imprisonment Act. The conflict concerns a restriction of freedom of movement of persons in custody. The Legal Affairs Committee was assigned with the task of solving this problem. 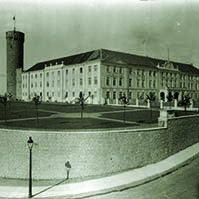 The plenary assembly of the Riigikogu deliberated the proposal from the Chancellor of Justice “Freedom of movement of persons in custody and the possibility to communicate with other persons in custody – the constitutionality of the first sentence of subsection 90 (3) and subsection 90 (5) of the Imprisonment Act“. 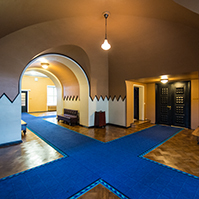 The Chancellor of Justice Indrek Teder said from the rostrum in the chamber of the Riigikogu that the first sentence of subsection 90 (3) and subsection 90 (5) of the Imprisonment Act are in conflict with various provisions of the Constitution. He pointed out the problem that the body conducting proceedings has no possibility to weigh whether, in a particular case, the application of the restriction of freedom of movement of a person in custody and the restriction of communication with other persons in custody is necessary in the interests of the proceedings in consideration of the circumstances of the criminal proceedings and, consequently, a proportional restriction of the right to a private life and self-actualisation, or not. “According to § 22 of the Constitution of the Republic of Estonia, no one may be presumed guilty of a criminal offence before a judgment of conviction has entered into force with regard to him or her. Even less does the state have the authority to treat a person in custody more harshly than a convicted offender without urgent need,” Teder said. Both of the provisions that have been challenged have been formulated without the right of discretion by the legislator. They must be applied with regard to all persons in custody. It is not a pseudo-problem. 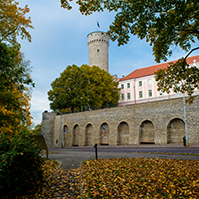 In Estonia, it sometimes happens that a person is held in custody for a whole year or even several years. The provisions which are challenged force such persons in custody to stay between four walls with no meaningful activity practically whole day,” Teder said. Answering a question of a member of the Riigikogu, Teder said that, according to the data provided to him by the Ministry of Justice, the average duration of holding in custody, “the median” in pre-trial proceedings is 132.5 days, that is, 4.3 months, and the arithmetic average is 123 days, that is, 4 months. Member of the Constitutional Committee Rein Lang spoke of the discussion of the proposal of the Chancellor of Justice in the Committee from the rostrum in the chamber of the Riigikogu. He highlighted the example pointed out by the Chancellor of Justice, indicating that in most cases a person in custody must stay in his or her cell for 23 hours and may move around one hour a day while a convicted offender may move around at least 4 hours a day. “Indeed, at present we have the paradoxical situation where subsections 90 (3) and (5) of the Imprisonment Act provide for stricter requirements for the detention of persons in custody than for the detention of convicted offenders ,” Lang said. “In my opinion, the court should be the one to decide on the detention regime of a person held in custody and, with the consent of the Constitutional Committee, I would also like to challenge here and now the current practice where practically all proposals of a prosecutor to take a person into custody for six months are granted by judges immediately. In addition to the fact that it is an unjustified restriction of the fundamental rights of persons, it is not reasonable from the economical point of view. This problem should definitely be analysed and necessary amendments should be introduced into Acts,” Lang said. 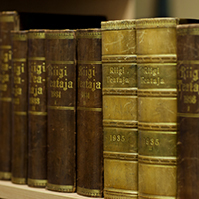 The Constitutional Committee of the Riigikogu agreed with the proposals of Chancellor of Justice. The Legal Affairs Committee of the Riigikogu also supported the proposal of the Chancellor of Justice. 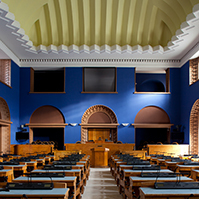 Chairman of the Riigikogu Legal Affairs Committee Marko Pomerants said from the rostrum in the chamber of the Riigikogu, when answering a question by a member of the Riigikogu, that it would be reasonable to draft a Bill in cooperation with the Ministry of Justice to solve the problem referred to by the Chancellor of Justice.